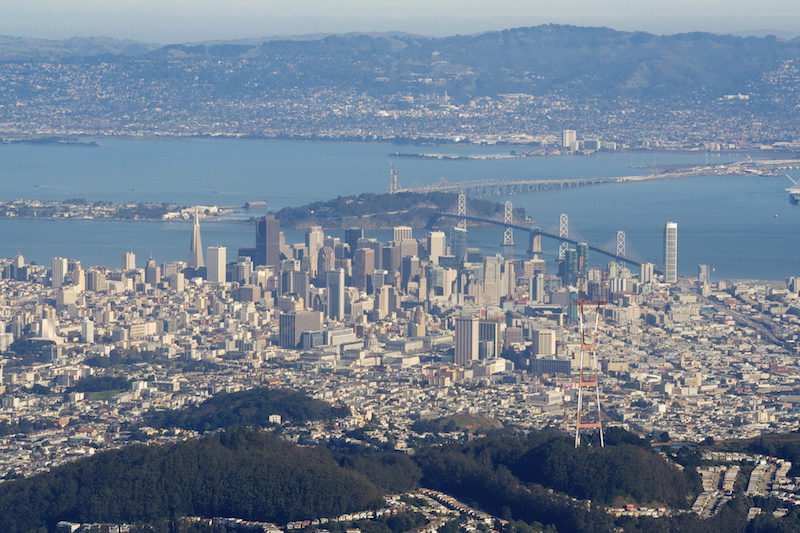 KQED's daily news podcast will cover issues affecting the San Francisco Bay Area. Though the New York Times podcast The Daily is coming to public radio in April, listeners may notice the show’s influence starting next month on San Francisco’s KQED. Launching March 6, the station’s podcast The Bay covers regional news with a style and format similar to that of the Times’ popular offering. The Bay soft-launched Wednesday with a debut episode that examined the Bay Area’s taxi industry. “We’ve been wanting to experiment with short-form local news podcasts for a couple of years now,” said Holly Kernan, KQED VP of news, in an email. After the station saw The Daily’s rise in popularity, “it became clear that there was interest in this sort of product,” Kernan said. The first episode used a recent rule change that benefits San Francisco’s cab drivers as a starting point for examining how taxi companies have handled the emergence of ride-sharing services. 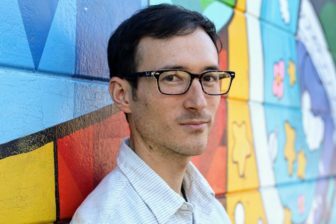 Katayama interviewed KQED reporter Sam Harnett about his coverage of the subject and included audio from Harnett’s reporting. KQED will release new episodes of The Bay Tuesday through Friday mornings, with each installment running five to 10 minutes. Katayama said the podcast will emulate The Daily’s approach of one interview per episode, with a focus on contextual analysis. In addition to featuring KQED reporters, The Bay may also interview reporters from other Bay Area media outlets and experts in subject areas. KQED is reassigning Katayama and two other reporters, Erika Aguilar and Vinnee Tong, to work full-time on the podcast. Katayama previously co-hosted the KQED podcast American Suburb, which focused on people displaced by gentrification in the Bay Area. After that project, Kernan asked Katayama what he wanted to work on next. He shared a long-term goal: When he started in public radio nine years ago, he aimed to host a “weekly news show where I kind of discover something that’s happening in the news live” within 10 years, he said. Kernan gave him time to experiment with the idea, which became The Bay. The team started piloting episodes in January. “My big thing at the beginning of this was, how do we actually add value and not just make something that we’re already making and then just put it out again on a different platform?” Katayama said. KQED conducted a feedback session where listeners said “We want this from KQED yesterday,” Kernan said. Katayama believes his pitch for the show succeeded because the podcast aims to reach new audiences in new ways. One participant in the feedback session said they “just wanted the daily headlines,” Katayama said. “I think a lot of people who are coming to KQED probably have that sort of news diet.” But others liked the “casual conversations that we showed them,” he said. “I feel like that is probably an emerging audience that public radio stations are probably going to want to understand sooner than later, because they’re the ones who are going to be supporting the work that we do in the future,” Katayama said. Radio “feels like a natural home for the show,” said the Times’ editorial director for audio.